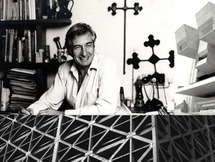 Alejandro Zohn (born Alexander Zohn) was a Mexican architect. He was a Holocaust survivor who grew up in Western Mexico. Alejandro Zohn studied at the Universidad de Guadalajara, Mexico, graduating as an engineer in 1955 and as an architect in 1963. 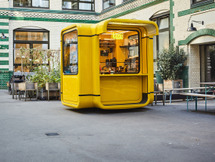 His abilities as an engineer are reflected in..
K67 is a kiosk design which was introduced in 1966 by the Slovenian architect and designer Saša Mächtig. Its system is based on polyfibre reinforced modules, which could be used as single units or combined to large agglomerations. It inhabits the cities as newspaper kiosks, parking-attendant..
Sir Joseph Paxton (3 August 1803 – 8 June 1865) was an English gardener, architect and Member of Parliament, best known for designing the Crystal Palace, and for cultivating the Cavendish banana, the most consumed banana in the Western world. 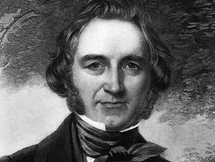 Paxton was born in 1803, the seventh son of a farming..